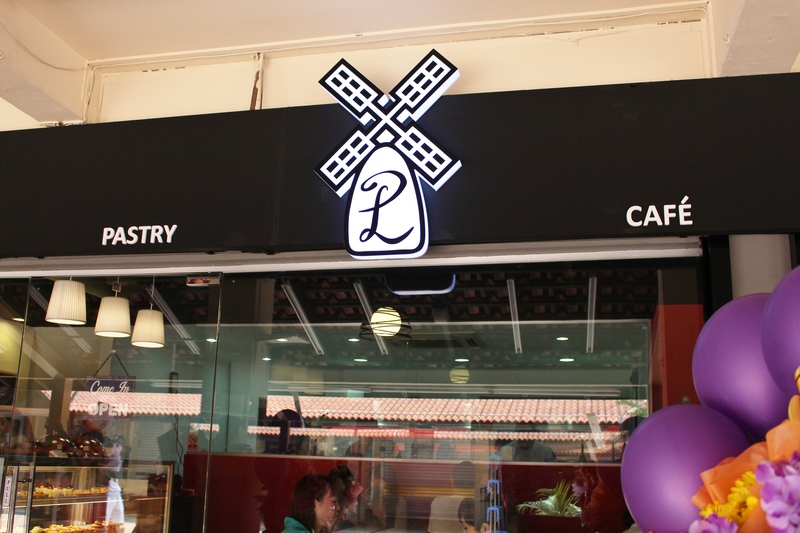 12/9/2014 – Toa Payoh has yet another bakery to its neighbourhood. 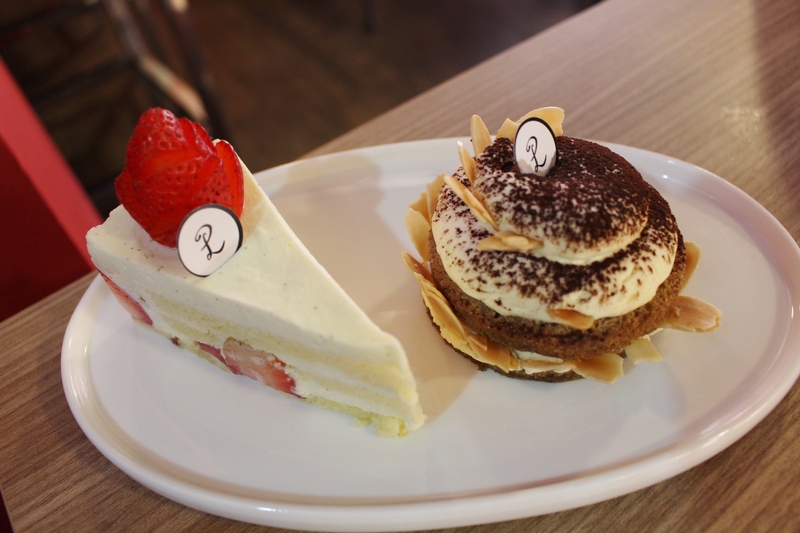 Les Patisseries is opened today by 3 pastry chefs that graduated from At-Sunrice and Shatec. They also run a website to receive online orders prior to this. 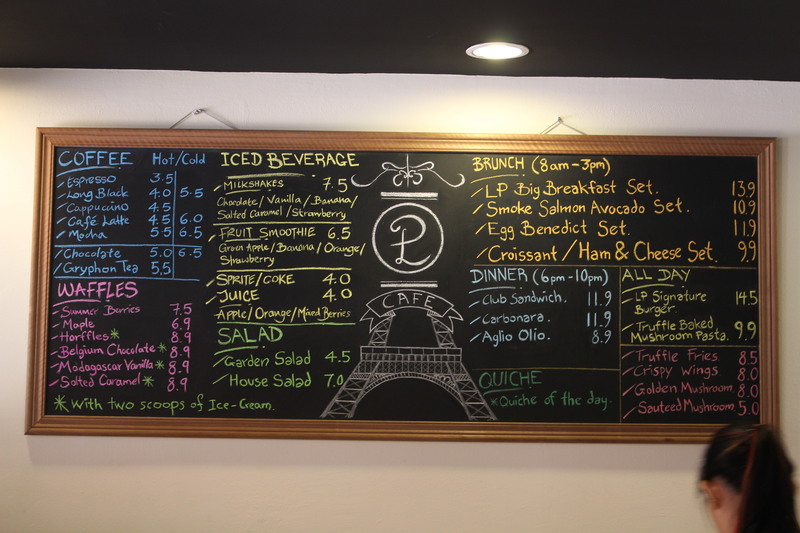 The menu here consist mainly of cakes and pastries, but also include drinks such as coffee and tea, waffles, all-day mains, brunch and dinner options. Coffee heres originates from Pacamara Coffee Roasters, the second cafe to use the Thailand blends so after OZ Specialty Coffee. 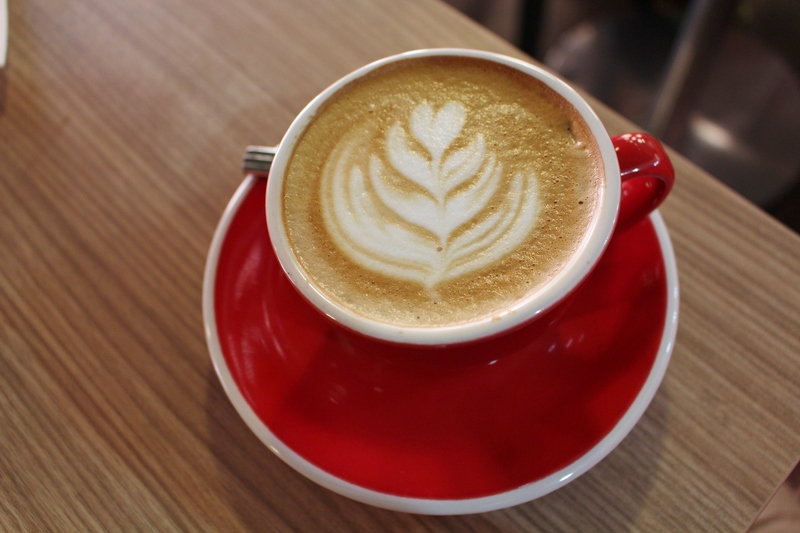 This Flat White ($5) tasted strong and firm that had a medium acidity. The Fraisier ($5.50) is a French strawberry shortcake that has a layer of sliced strawberries covered with immensely rich cream and topped with a juicy strawberry. The Tiramisu ($7) cake here is made one by one, rather than being made as a whole cake and cut into slices. The huge amount of mascarpone cheese and cream managed to balance out its flavour with the strong coffee taste, which makes the one here a better option as the coffee taste isn’t too overwhelming. 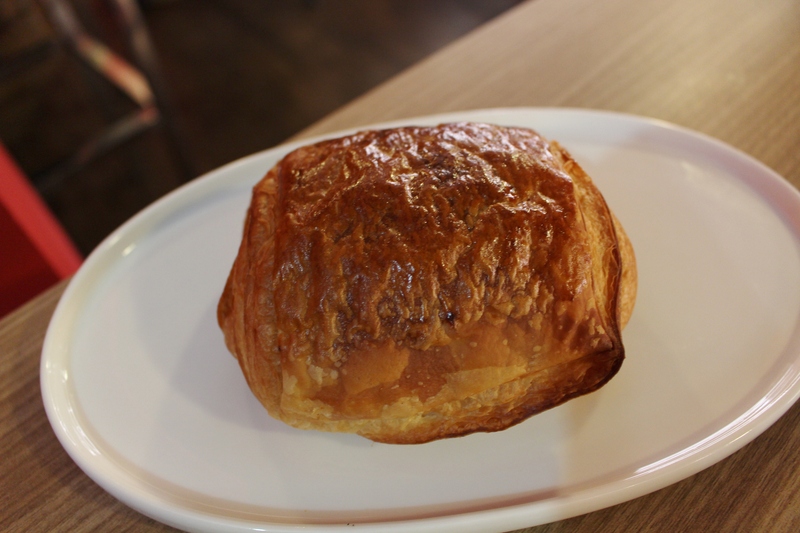 The Pain Au Chocolat ($3.20), also known as a chocolate croissant is greahere is not only flaky, but slightly crispy as well! The rich chocolate taste is also evenly spread across the pastry. Being at the heart of Toa Payoh (Toa Payoh MRT station is within 3-4 minutes walking distance), it will definitely be able to attract the crowd. There is already a crowd on the first day, mostly made up of the lunch crowds and passerbys who probably didn’t know of its existence. If you are around the area, do give this place a support!